Hundreds of new products will launch this year at Clerkenwell Design Week, from small home accessories to large investment pieces. 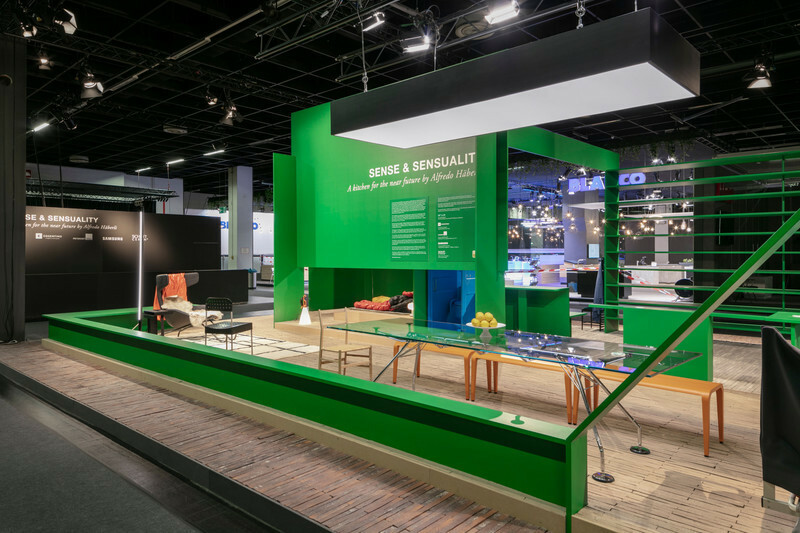 There will be eight main exhibition venues to explore, full of the latest and best new products in contemporary design from Britain and beyond. 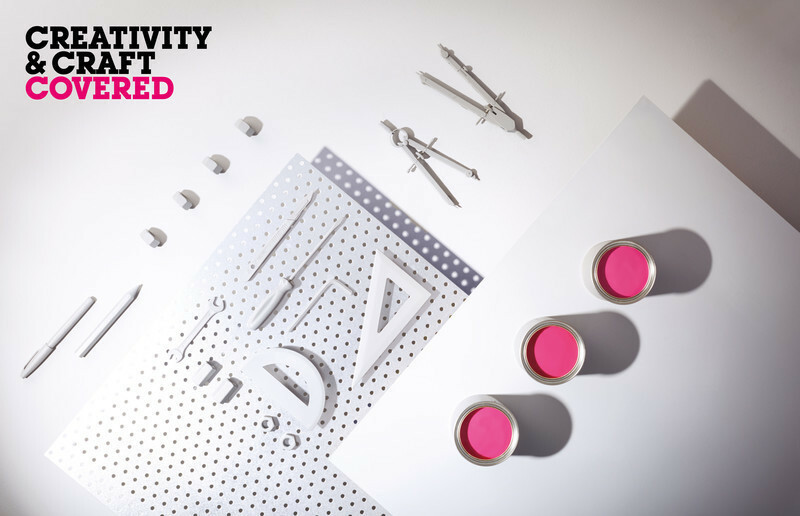 Each venue has a distinct offering, showing the breadth of creativity that makes CDW such an important part of the London design calendar. Exhibition venues this year include four new, specially made structures, as well as firm favourites such as the Crypt on the Green and the House of Detention. Running north to south the venues are; Design Fields (curated contemporary design), Platform (up-and-coming designers), Project (leading international brands), Additions (interiors products), British Collection (UK designers), Detail and Detail Pavilion (luxury interiors) and Icon’s House of Culture (international). Design Fields will be held on Spa Fields, next to one of Clerkenwell’s gems – Exmouth Market, and is set to become a vibrant new destination for the show as CDW expands its boundaries north. A great variety of products will be showcased here, including 25 leading international brands. From Sweden, Zero will debut Plane, designed by Front. 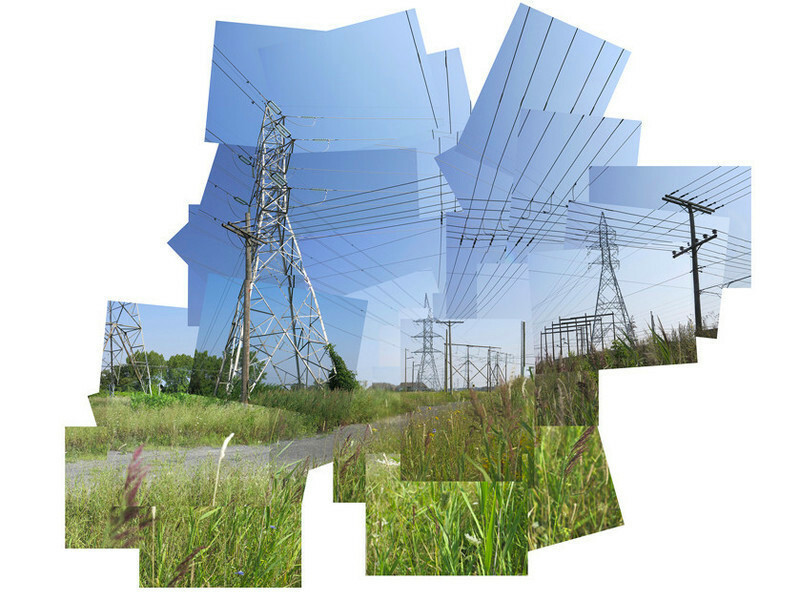 This is a light characterised by transparency and sharpness constructed with thin metal wires in a structural grid. 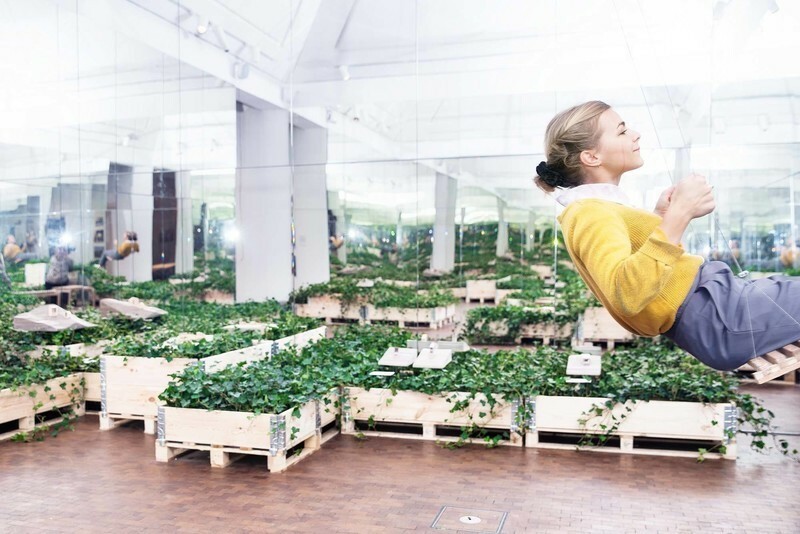 Also hailing from Sweden, Swedese will present two new seating systems Konnect and Botanic, which will be shown in the UK for the first time. Nomique, believers that good design should be available to everyone, will bring their new ‘Team Up’ range of affordable pieces to Design Fields, while Massproductions will showcase their best-selling Tio range in new colours. 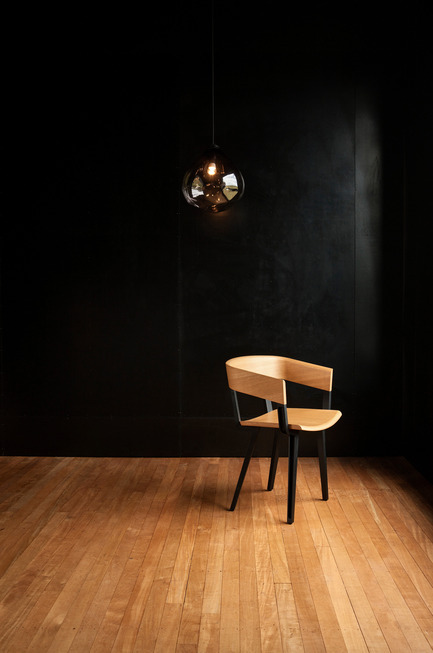 H Furniture will launch their WW solid wood and metal chair, sculptural through its combination of wood and 2 wire. Hailing from Bosnia, Artisan bring their The Thor daybed, by New York designer Fahmida Lahm that was launched at IMM. Artisan specializes in the manual production of high quality furniture made from solid wood. Also working in wood, German company Vitamin Design, will bring their sustainable crafted wood pieces to Clerkenwell. Working with recycled wool, the Plank collection by BAUX, designed by Form Us With Love will also launch at Design Fields. 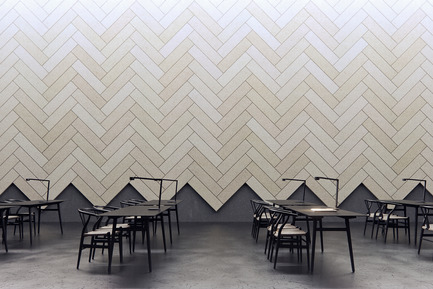 Light-weight and flexible these wall treatments are available in a huge variety of shapes, sizes patterns, and colours. 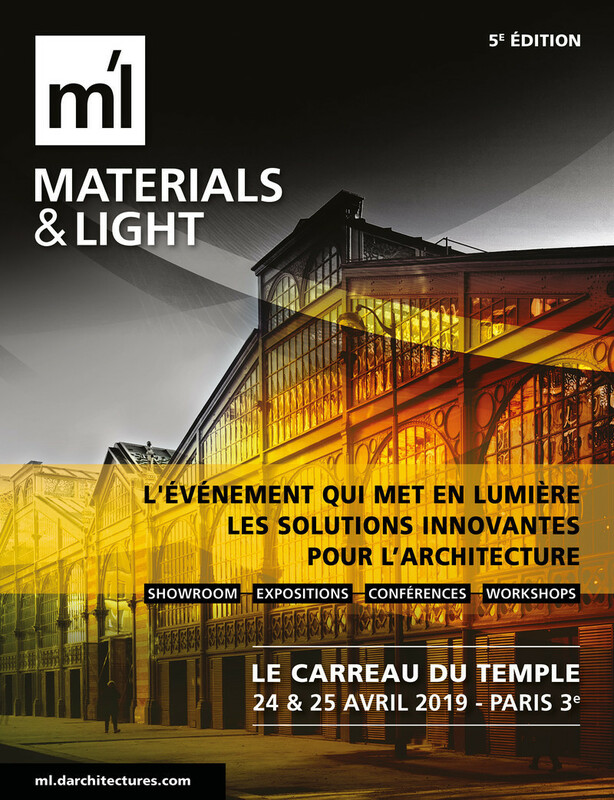 Other major exhibitors include Thonet, Di Classe, Dedon, MAGIS, Offecct, Mater, Another Brand, Concrete LCDA, and Capdell. Platform at the House of Detention will be another place for discovery. Over 40 up and coming designers will show in the atmospheric venue. 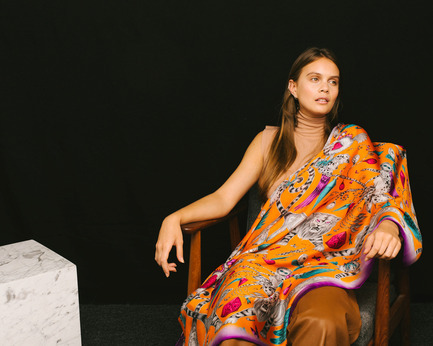 East-London design boutique Laura Lea Designs will present an all-female collective of up-and-coming designers and makers in Platform, including Oscar Francis and Lorna Syson. Design art pieces from RCA Graduates yenchenyawen design studio, and artist and sign painter Archie Proudfoot will exhibit ‘A Gilded Cage’ a new body of work to adorn the venue’s cell walls. 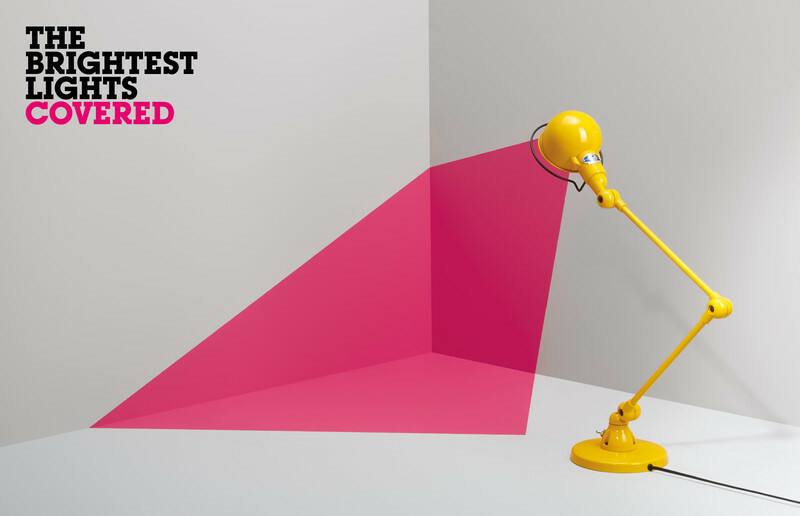 London-based Zita Menyhart Studio, will launch a new table lamp as an addition to her [W]eight series. 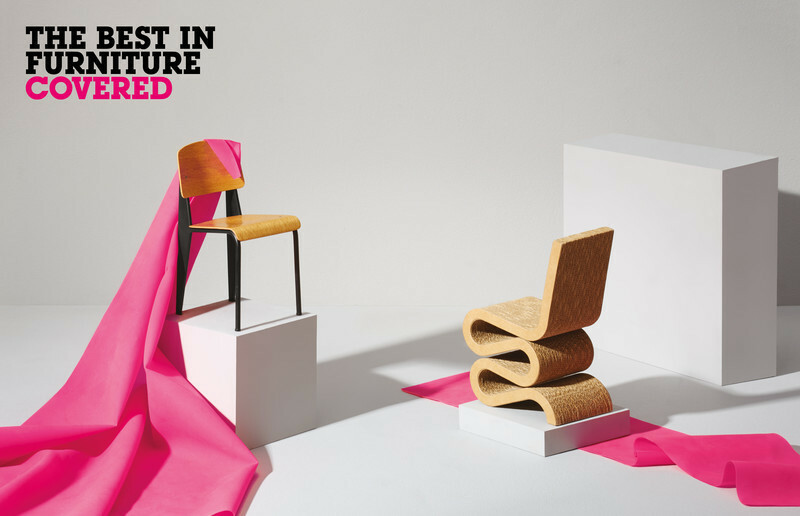 Furniture will be on view from Baker Street Boys, par avion, and Solid Soul Design, as well as from Reason Season Time, specialists in luxury sustainable furniture and accessories. 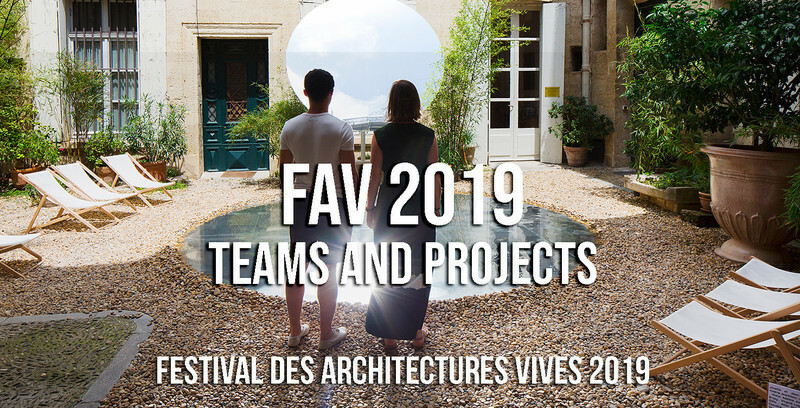 Project, one of the new shows within the Garden of St James, will host over 20 leading manufacturers presenting furniture, lighting and contemporary product design. 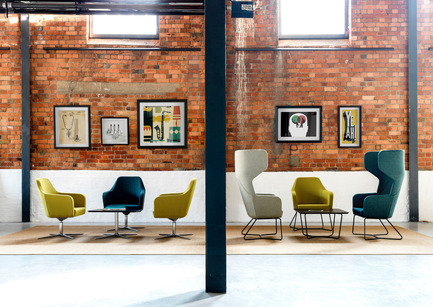 sixteen3 bring their Soft seating and breakout furniture for the commercial interiors market, all manufactured in Cheshire. Hand-crafted furniture by Andrew Dominic reflects the elegant practicality of new luxury, with the new Signature Range collection. This promises to be a collection of beautifully made, solid timber furniture. 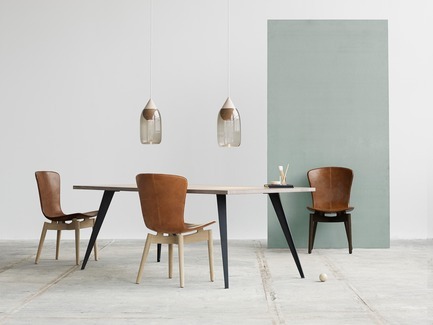 Danish brand BoConcept contract department, known for solutions for hotels, restaurants, business offices and institutions, will showcase their Imola chair and Milan table. 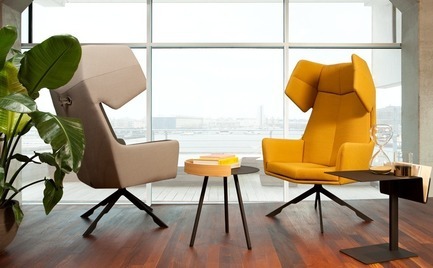 Dutch brand Palau, whose designs span home and office, will present new designs such as the armchair Rama by Arik Levy and modular seating system Corals by Robert Bronwasser. German lighting experts Luctra will launch their new office collections that promise to harness light’s positive effects on well-being in the workplace. British Collection will be located in the stunning barrel-roofed Crypt on Clerkenwell Green, St James’s Church, and feature the UK’s most exciting homegrown talent. 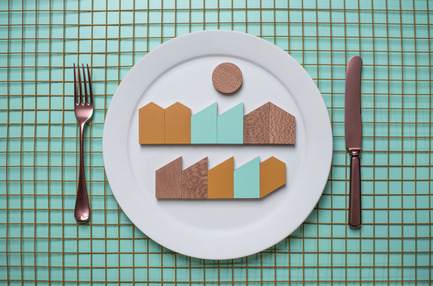 This includes Brixton based design studio 2MZ, who will be launching "Pluck", their new modern kitchen furniture. 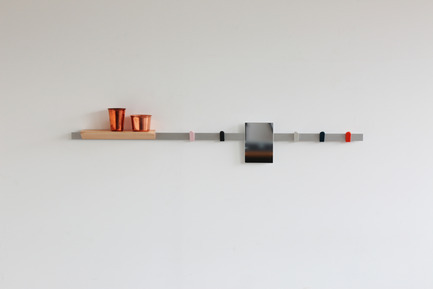 South London based Liam Treanor will also bring his collections that embody inspiration from sources such as the clean lines and bold forms of MidCentury architecture, traditional British woodworking, and the soothing aesthetic of Scandinavian modern. Waterloo-based Hand & Eye Studio will show their elegant innovations in extruded terracotta lamps for the first time, and Jennifer Newman Studio shows her simple solutions for indoor and outdoor, furniture. Very Good & Proper will debut the new VG&P Dowel Table, as well as showing Rail and the new Wedge Shelf. 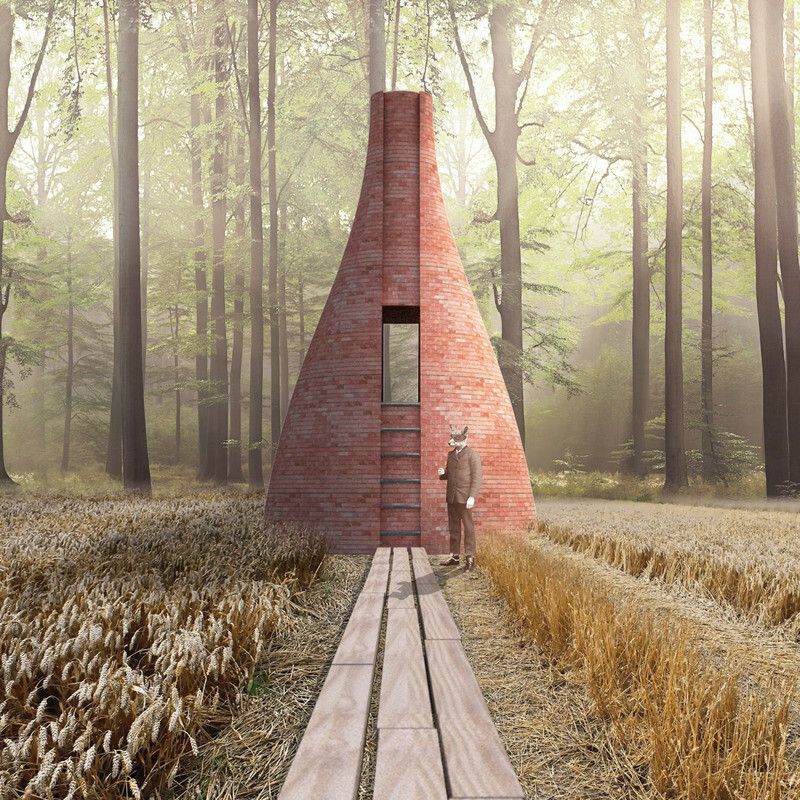 James Burleigh, Ocee Design and The Workshop, by Minale + Mann will also be representing the best in new British design. 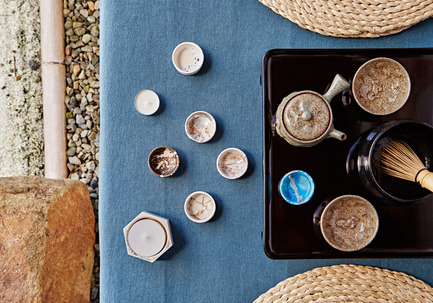 Additions returns this year as the place to discover small accessories for the home. Set in the Garden of St James, over 30 exhibitors will show their best and new pieces. Porcelain from Clavering will showcase the artist’s original, observational charcoal drawings such as The Hawthorne and the Stapleford Pine. Bringing a dash of colour, Taz Pollard will showcase her new neon ceramics collection, and Monica Bispo and Nicola Suckling will also show their newest ceramics collections. Two graphic artists, Claudine O’Sullivan and Emma J Shipley bring their unique designs to Additions, while Future Days will show their origami inspired pieces such as the Sapphire side table, all designed and made in Malmö, Sweden. 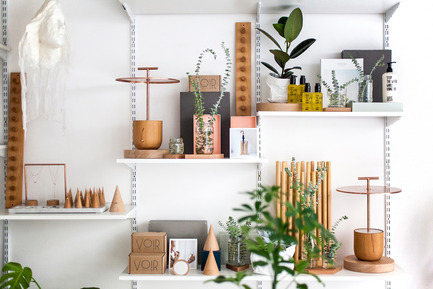 From Croatia, -Love, Ana will showcase their eclectic take on beautiful home accessories. New for Old will bring an exciting new element to Additions; the British Council and Support Arts and Crafts International Centre of Thailand (SACICT) present six of Thailand’s most exciting designer-makers in the UK. Blending traditional making techniques with contemporary influences, this diverse group of makers explore ideas of environment, sustainability and community within their work, spanning woodworking, basketry, indigo-dyeing and weaving. Designer-Makers presented include Homlom Studio, Kaewwanna Natural Indigo Studio, PATAPiAN, Plural Designs, Varni Southern Wickery and Vassana. The principles of fine craftsmanship and high glamour showcasing the best names in the luxury interiors world, will be featured in Detail. From within the majestic church and cloister garden, the venue stretches onto the street with the Detail Pavilion, on St. John’s Square, where the focus is on luxury surfaces. 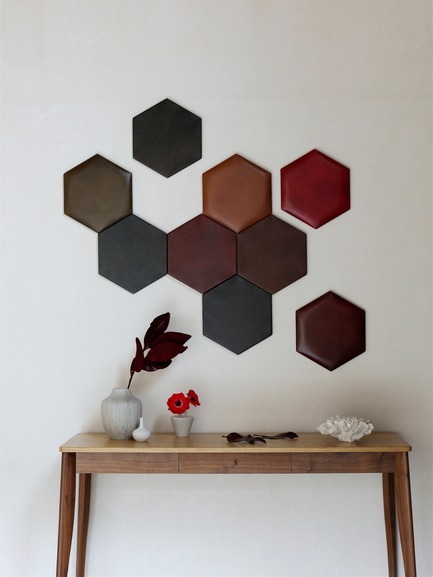 Whistler Leather debut Handmade, their new leather wall panel collection. 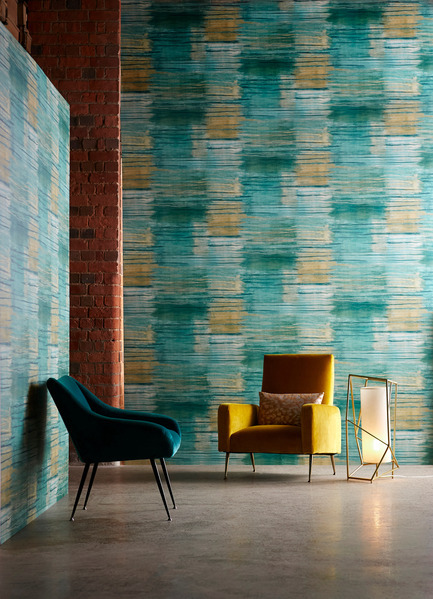 Created in exactly proportioned hexagons, the panels perfectly tessellate to create either an abstract arrangement or a full wall covering in an alluring colour palette. Tania Johnson launches ‘Journeys in Colour’, her new rug collection. Inspired by fleeting moments in nature, each rug is hand dyed and hand knotted from wool and silk in Nepal. Copper & Silk are also inspired by their surroundings, nature and travels abroad, in particular to Morocco and New York, and will show their new Modern Ikat lighting collection. 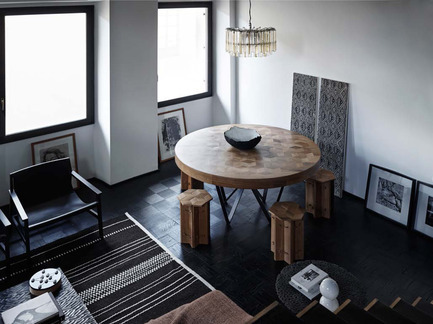 New textile collections from Harlequin & Scion Anthology and Zimmer + Rohde will all be on view. Furniture pieces from Cornish-based Sebastian Blakeley and Glasgow-based Chris Turner will debut, while Firenze-based Fred & Juul, bring their modern furniture pieces inspired by old techniques, entirely handcrafted by artisans in Tuscany. Also from Italy, family-run Poliform will show the MAD collection by Marcel Wanders, their latest international collaboration. New-York based Watermark previews their new modular collection of brassware, ‘Keepsake’, currently being developed in collaboration with UK and US-based artisans. Visitors to Detail can contribute to the dialogue through a hands on ‘play centre’ where both new materials and the modular format can be explored. The conversation will continue on Instagram, giving people the chance to win the Keepsake tap they designed. Set in the former Metropolitan Cold Stores in Smithfield, better known as Fabric the renowned nightclub, Icon’s House of Culture promises to bring great new design to the extraordinary surroundings. Exclusively for Clerkenwell Design Week, Dare Studio have collaborated with Eley Kishimoto, known for their, vibrant, graphic designs. The British studio has paired iconic Eley Kishimoto prints with a new cabinet collection to merge furniture and art in a range that exemplifies creativity and stand-out style. 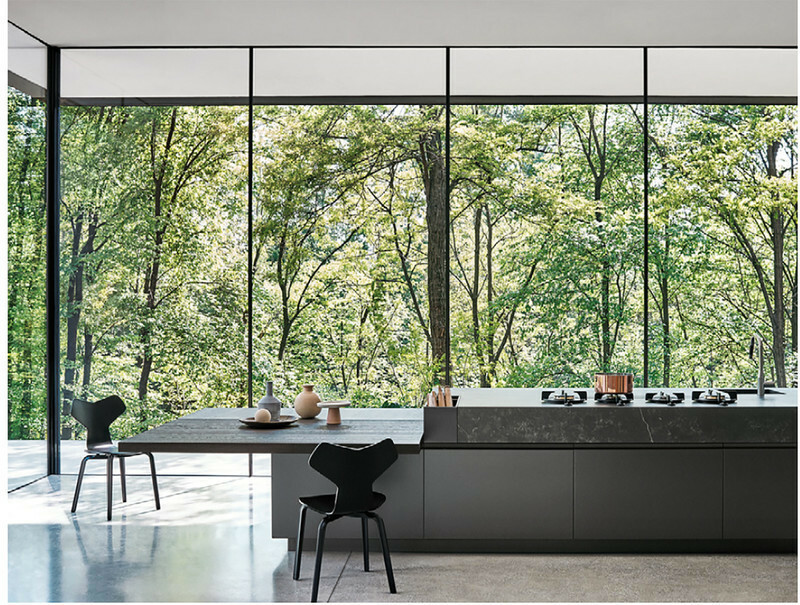 Belgian office design experts Bulo will bring their innovative new modular system, ‘Dan’, to the show. Spanish furniture specialists Expormim, known for enhanced rattan pieces, will bring their latest collection to Clerkenwell. Committed to championing design research to find new and innovative production processes, Resident will present a new exhibition. Called “Windows Watching” a new collection of Furniture and Lighting will be shown and this will include pieces such as the Odin Chair by Jamie McLellen and the Interstellar Dining Table by Resident Studio. 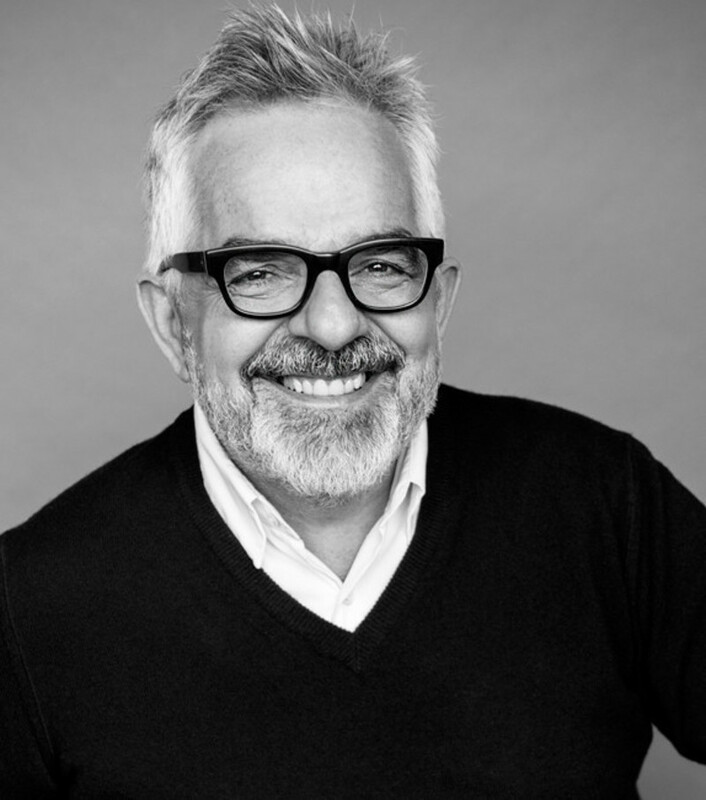 William Knight, Clerkenwell Design Week, Show Director said: “Over the coming weeks more details of exciting new product launches will be coming through. 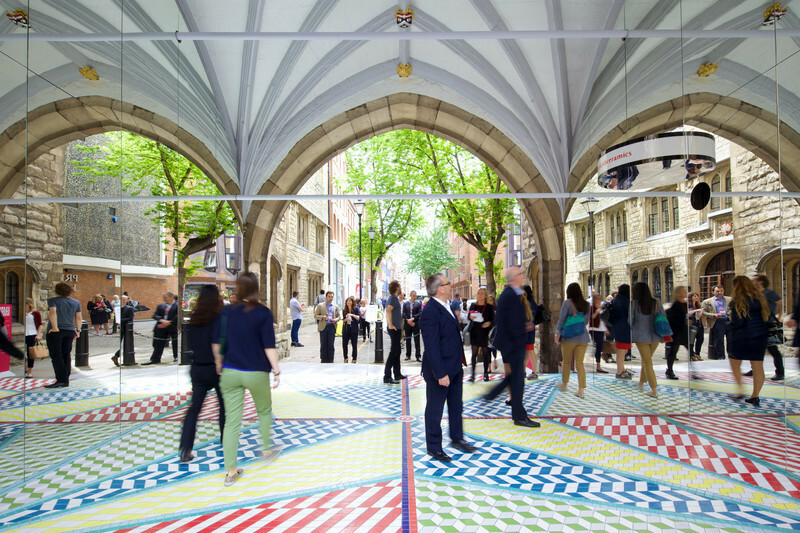 What we can clearly see is an amazing expression of the creativity that will bring Clerkenwell to life in May. The quality of work designers are bringing to the market is exceptional. To see international brands at Clerkenwell Design Week venues - new and old, alongside British talent is really exciting. 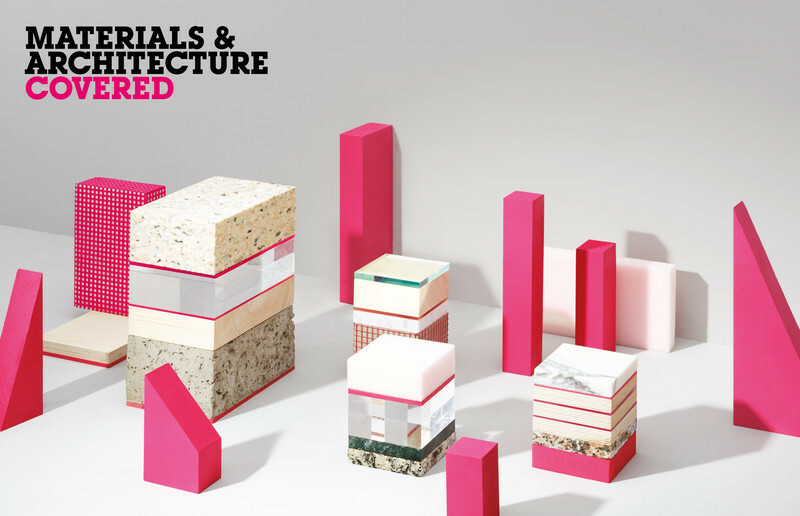 This year, with the new show layout we hope to attract even more visitors and invite people to come and explore, and be inspired.” Details of all exhibitors are available on www.clerkenwelldesignweek.com, and will be updated regularly. Ends. • In 2015, over 35,400 visitors attended the festival, a 10% increase from 2014. 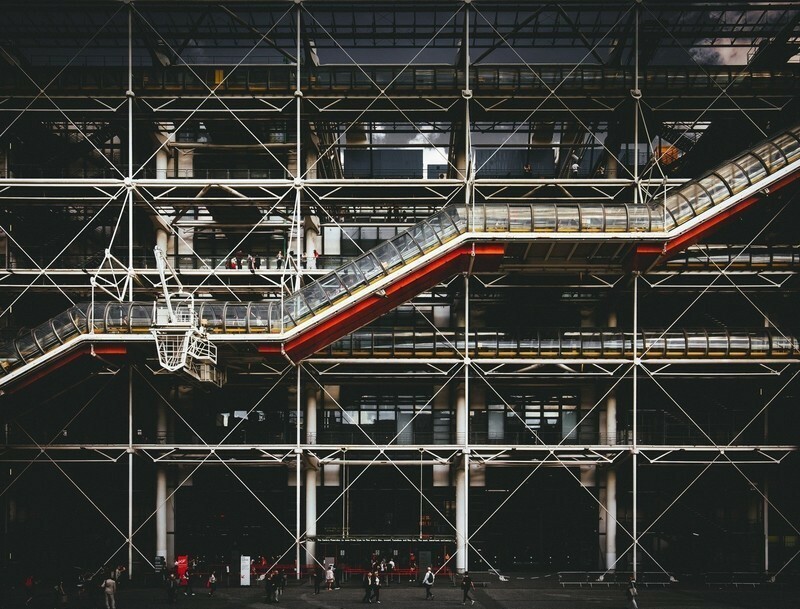 • In total, 65% of the 2015 visitors were architects and designers.